for the Water and Wastewater Industry Since 2003! "I just wanted to say thank you to you both. 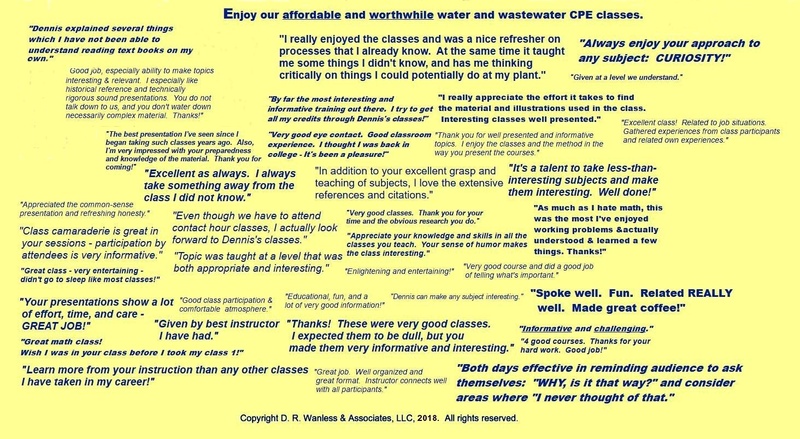 I have been in the water and wastewater business for 35 years. You have the best classes I have ever attended. The added bonus is the conversations I have with the other professionals that attend. Online classes are no comparison. Dennis, in my opinion you are a very gifted teacher." 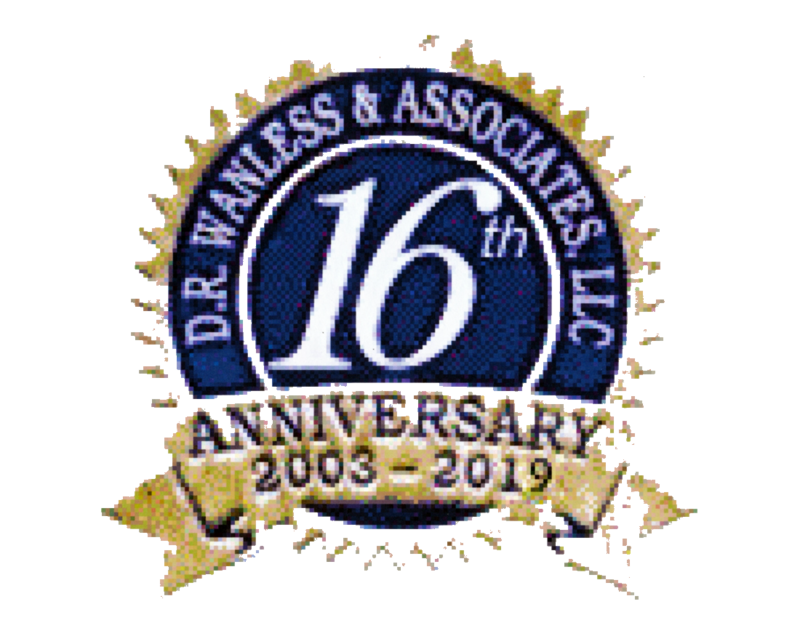 Copyright D. R. Wanless & Associates, LLC, 2019, all rights reserved.